Organizations that provide solutions for critical infrastructure sectors, including medical device and industrial control systems (ICS) manufacturers, have started assessing the impact of the recently disclosed Meltdown and Spectre exploits on their products. 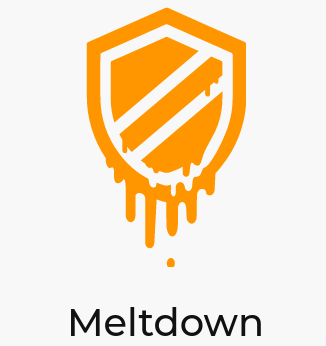 The Meltdown and Spectre attacks allow malicious applications to bypass memory isolation mechanisms and access potentially sensitive data. Billions of devices using Intel, AMD, ARM, Qualcomm and IBM processors are affected. While affected companies have been working on releasing both software and firmware mitigations, the changes made to a system can introduce significant performance penalties and in some cases users reported that the patches had broken their operating system and various applications. Considering that in the case of industrial systems availability and integrity are of the utmost importance, vendors have warned customers that extensive testing should be conducted before any patches are applied in an effort to avoid disruptions. Several vendors have published advisories to inform customers that they are assessing the impact of the Spectre and Meltdown exploits. The list includes Siemens, Schneider Electric, ABB, Rockwell Automation, and medical technology company Becton Dickinson (BD). ICS-CERT has also published an advisory directing users to the advisories of some vendors. In an advisory published on Thursday, Siemens told customers that it’s analyzing the impact of the vulnerabilities and available mitigations. Several of the company’s products may be affected as they are typically installed on systems powered by one of the affected processors. “Updates for operating systems, processor firmware, and other systems can help to mitigate these vulnerabilities. Siemens is testing the compatibility of the patches released for supported operating systems for several products,” the company said. “Siemens is aware that some updates can result in compatibility, performance or stability issues on certain products and operating systems. Operating system vendors, such as Microsoft, are still working to address these compatibility issues with their updates. Siemens will therefore continue to evaluate the applicability of those updates,” it added. Until patches and workarounds can be safely applied, Siemens has advised organizations to ensure that untrusted code cannot be executed on systems running its products, which is a requirement for launching Meltdown and Spectre attacks. Rockwell Automation has also confirmed that its customers’ environments are potentially impacted by the vulnerabilities. The company is working with software and hardware partners on addressing the problem in its E1000, E2000 and E3000 Industrial Data Center (IDC) offerings. Its employees are also working on testing the updates made available by Microsoft. Rockwell Automation has warned organizations that some of the updates released by Microsoft are known to cause anomalies in FactoryTalk-based products, including Studio 5000, FactoryTalk View SE, and RSLinx Classic. Rockwell has been working with Microsoft on resolving the anomalies. Schneider Electric is also monitoring the situation. The company has informed customers that the list of impacted products includes StruxureWare Data Center Expert (DCE), StruxureWare Data Center Operation (DCO), NetBotz Appliances, APC Network Management Cards, PowerChute Network Shutdown, PowerChute Business Edition, PowerChute Personal Edition, and 1ph and 3ph UPS. Schneider Electric’s Wonderware warned users that one of Microsoft’s updates causes Wonderware Historian to become unstable. Swiss power and automation solutions provider ABB told customers that it has launched an investigation, but all products running on affected processors are potentially impacted. “The vulnerabilities do not target any ABB products specifically, but potentially affect products that use affected processors in general,” ABB said in an advisory published last week. Until the company assesses the impact of the attacks on each of its products, it has advised customers to ensure that industrial networks are protected against unauthorized access. Unlike other vendors, ABB has advised customers to install operating system updates without mentioning the potential risks associated with applying unstable patches. BD pointed out to customers that the vulnerabilities are not exclusive to its products or medical devices in general, and the company believes the risk of attacks is low. BD has provided a list of impacted products. The company has advised users to apply patches from Microsoft and any firmware updates that may become available. However, the updates from Microsoft should only be applied after they have been tested and approved by BD. 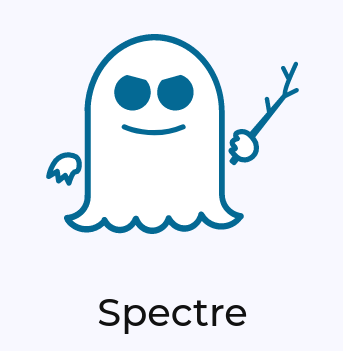 While not all ICS vendors mentioned it, any patches and mitigations for the Spectre and Meltdown vulnerabilities should be tested before being deployed to critical systems, particularly since some of them may cause devices to become unstable. “The changes needed to fix Spectre and Meltdown vulnerabilities more thoroughly are so extensive that costly and extensive testing will be needed before the updates can safely be applied to reliability-critical control systems,” explained Andrew Ginter, VP of Industrial Security at Waterfall Security. “In the very short term, what every control system owner and operator will be asking is ‘how long can we safely delay this very costly testing process?’ and ‘do I need to drop everything and start testing and applying these fixes yesterday?’,” Ginter added.